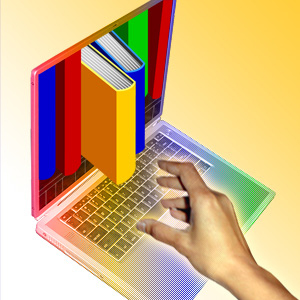 The Medical Library Association (MLA) has declared October as National Medical Librarians Month. 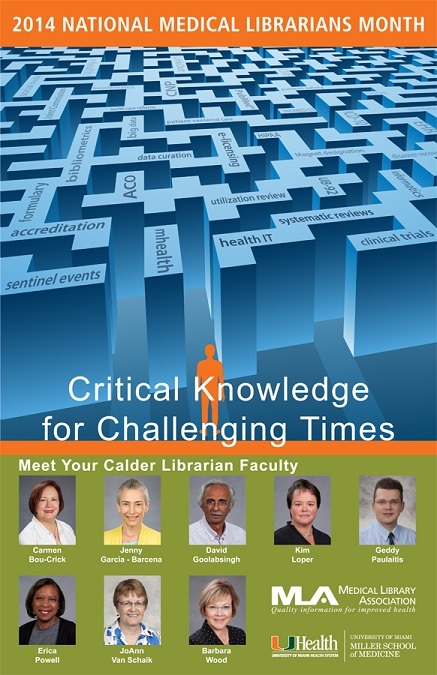 As part of this celebration, the Calder Library is proud to highlight its faculty librarians and staff. 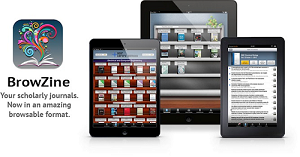 Librarians will assist you with your quest for information and more, using the library’s wealth of online and material holdings. Not only does the library provide you with the critical resources you need--free training, a great place to study, 102.5 open hours weekly, a relaxation room—but Starbucks is now right next door! Most importantly, we provide you with a staff of highly trained librarians, ready and willing to assist you in taking your academic achievement and research to the next level. 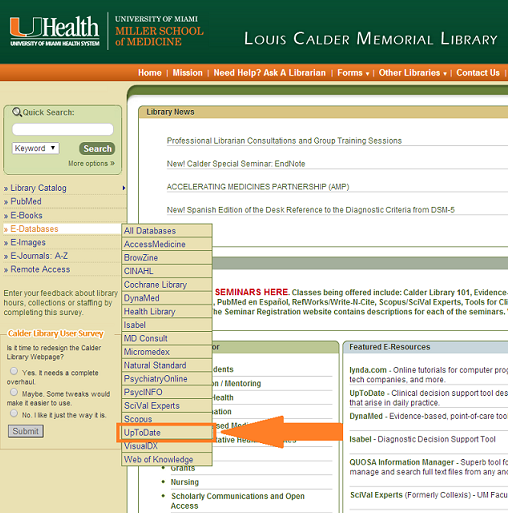 Professional Librarian Consultations @ Calder Library can be scheduled from 9 a.m. to 4:00 p.m. Professional Librarian Consultations @ University of Miami Hospital (UMH) Medical Library can be scheduled from 9:00 a.m. to 12:00 noon. Group Training Sessions are available at any medical campus location. Contact us and we will take our training to you! Let us design a class based on your needs. Larger groups sessions can be scheduled at Calder Library’s electronic classroom, where up to 32 participants can have hands-on experience during class. Our classes are listed at the Calder Library website. Calder Library is located at 1601 NW 10th Avenue. The UMH Medical Library is a branch of the Louis Calder Memorial Library, located in Room 2019 on the second floor of the hospital’s East Building. UpToDate now offers the option of searching an extensive library of high-quality graphics, including more than 27,000 pictures, tables, illustrations, diagrams, graphs, algorithms and videos, without using a separate search engine. 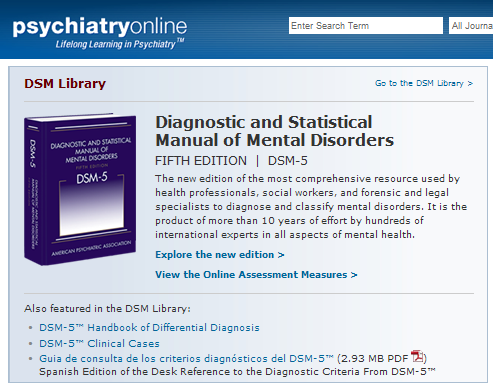 After entering the search term(s)—it can be a disease, symptom, laboratory abnormality, procedure, or drug; click on the Graphics link to quickly and easily search the database for graphics related to that topic. For example, in a search for “anemia,” results include a series of algorithms for treatment of anemia, pictures of anemia-induced skin conditions, pictures of blood smears, radiographs and angiographs, multiples graphs comparing treatments, tables of risk factors, practice guidelines, and useful information that will enhance the clinician’s ability to diagnose and treat patients. Graphics results are presented as thumbnails with titles (see below). Click on any thumbnail to enlarge the image. 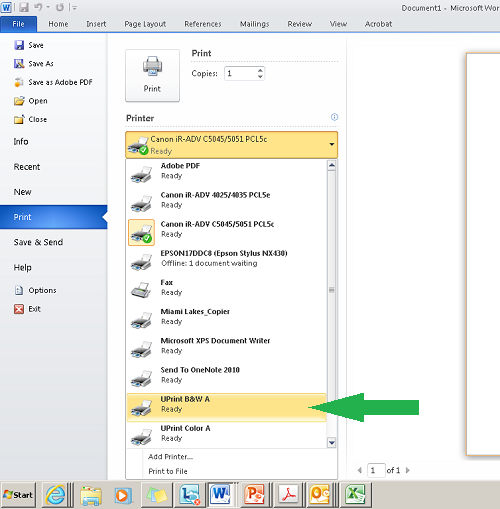 Once the image is enlarged, it can be sent by email, printed, or exported to MS PowerPoint (PPT), making this resource useful for enhancing instructional materials (when “Export” is selected the specific image is converted into a fully-referenced PPT slide). Each graphic also provides references and links to related topics of interest (look for “Appears in Topics”). To learn more about conducting a Graphics Search, sharing information with patients or colleagues, and exporting graphics to a presentation, watch a short video tutorial that can be found at: www.uptodate.com/home/help-demo. Have a Question? Text a Librarian.